Theme Mad Max, Stalker and X-men had a child with Global Warming. Flavour Dark, Discovery/Exploration Survival Game with Base Building and Resource Management. The world as you know it is gone, friend. I don't know what it was, maybe it was the legendary hellfire that the old empires supposedly could drop from the skies, maybe it was the land trying to purge herself of the parasitic people that struck down her forests and poisoned her grand lakes, perhaps it was just an inevitability that eventually the Old World was going to collapse. I truly don't know about what happened to the Old World, but through its demise came the Zone and the Zone birthed Rot. Rot's a horrible thing, friend, it eats away at metal and flesh alike, it will tear your hair out and deposit the contents of your stomach at your feet as it decays your body from the inside out. 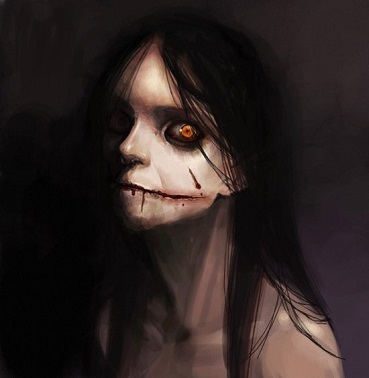 Then you have them blasted Zone Ghouls, horrible things, they look mutant until you get up close and realize that beneath those bandages and raggedy clothes is a faceless, cruel creature. The Zone is a strange place with its Rot, Zone Ghouls, Mutated creatures and the damnable snow which coats it all. If you don't want to freeze, starve or be beaten to death, your best bet is to stay in the Ark where the Elder can watch over us and guide us... Until he dies, that is and his time is already running out. Of course, if you stayed in the Ark, you'd never find any Relics, would you? Heh, I know that look in your eye friend, I don't know if you're one of those freak Stalkers who knows the Rot like it was one of their mutations or if you've got a loyal Mutt outside waiting to tear out the jugular of the first person to look at you funny, but you have something that helps you survive outside of the Ark. I like that, but be warned friend: the Zone cares for no one, no beast and no machine. I may consider accepting certain types of AI from the Mechatron expansion if it's something commercial like a Companion Bot. If you own the rulebooks for Mutant Year Zero/Genlab Alpha/Mechatron, feel free to put together a character, but DO NOT ROLL in this thread. I'll most likely be choosing characters based on first come/first serve at first, if ever the need for replacements/new people comes about, I'll look into the character's role & purpose to the party. Ideally, I'd like to see a variety in the party class-wise. If you want to submit a character, either post them in this thread or DM me. The Game itself will be based in a Frozen/Winter Apocalypse scenario, so keeping characters warm will be a necessity. Character Creation is pretty much going to be how it is in the book: Role, Name, Character Description, Your 14 Attribute Points & 10 Skill Points, pretty much the bog standard by-the-book. If you want to create a Psi Mutant, please specify this in your post, or roll on the Psi Mutations (Hotel Imperator) table. Animal Mutants (as stated previously) will be accepted into this campaign, bonus internet points for Japanese breeds of Dogs, Cats and so forth as this campaign will be (initially) set in a Japanese Zone, though this will have no impact on your Animal Mutant beyond Flavor. For the "Create your Ark" section, we'll discuss that in the game itself once we're started, just like the character relationships and Bosses. Creating your den is advised to be put off until after Ark Creation, though you are welcome to have a Den outside of the Ark if you're 100% okay with running the risk of being robbed/losing your den. 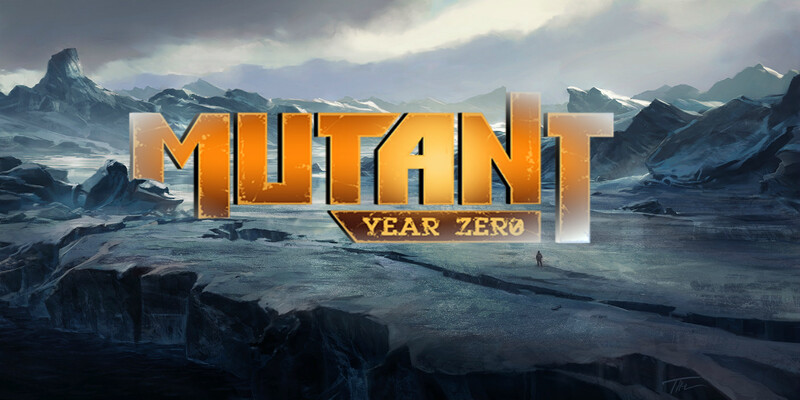 If you aren't familiar with Mutant Year Zero but would still like the chance to participate, feel free to put N/A in Class, Mutations & Talent. For obvious reasons, I can't publish information that wouldn't be available to someone who didn't purchase the rulebook(s), however, there is an official, free starter guide which you can find here. Special thanks to Watcher for putting these together! These are the characters currently accepted into the party. If we end up with eight players, I'll look into splitting the party into two separate expedition teams. The First expedition team "Eternals" is made up of - Endo 12, Tenma, Porkchop, Hauer & Gamma. The Second expedition team "Centuries" (if three more players join) will consist of Gamma + X1 + X2 + X3. These expedition teams will be interchangeable, so members can venture out into the Zone with a different expedition party if they require it. Appearance: Unlike other members of his litter, Endo 12 is a rare albino, his fur snow white and his eyes red. His colony members range in color and fur pattern, but Endo 12 shares no similarities to his brothers or sisters or parents. This has caused Endo 12 to be somewhat outcast, his glaring oddity of appearance estranging him from his colony, though they still acknowledge his presence when they feel like it. This has resulted in Endo 12 developing a need to prove himself to his fellow colony members and leaders. Endo 12 is a slim rabbit, lean muscle made for agility and quickness, and stands at 5'6" when bipedal, not including his ears. He wears a loose kamishimo, which consists of several layers for added protection, as well as wide-legged hakama trousers and soft-soled sandals. His ears are bound close to his head and flop backwards out of his vision. Around Endo 12's waist is a sash, knotted, which has an old small sheath that contains an equally worn (and chipped) KnifeWakizashi. Across his back is a bow and a quiver of arrows. Unbeknownst to himLiving in Japan, Endo 12 has adopted what is considered traditional garb for the region, based on past rabbit explorers and expeditions who brought old world materials home. Appearance: Porkchop is a large man; corpulent if you are kind, fat if you aren't. Being a cook has the advantage of extra food and he certainly shows the results of it. His skin is often oily with rough pits and crags from mistreatment. Rotting teeth fill a mouth closed off by bulbous lips. He is always soaked in sweat, grease or blood dependant on the activities of the day. - Clothes: Dirty Coveralls, Torn Hoodie, Thick Hide Jacket, Scuffed Workboots. Appearance: Hauer is a fairly nondescript man of medium height and build. He has blond hair, a wiry muscular frame, and more than his fair share of scars. If his frosty blue eyes ever held any mirth, it has long been stolen away by the cold wasteland that he calls home. His clothing is a patchwork of scrounged materials that range from cloth and burlap to leather and steel. At rest he is quiet and still. When he moves it is with a purposeful determination that leads many to erroneously think him moon-brained or stupid. - Set fire to a flammable object. Costs 1 MP. - Spew fire at an enemy at up to Near range. - You inflict damage equal to the number of MP you spend. - Breath fire at a number of enemies equal to MP spent. Each one takes one point of damage. Appearance: A lean, narrow, and andogynous scarecrow of bone and sinew, painted with stark colours: corpselike white skin; long, black, greasy hair; and prominent, staring eyes tinted blood red. This, combined with her unnatural body language and bizarre behaviour, gives her a demeanor only a mother could love. Too bad she's never met one. Appearance Pratchett stands at 6 foot 2, weighing surprisingly light for his height. 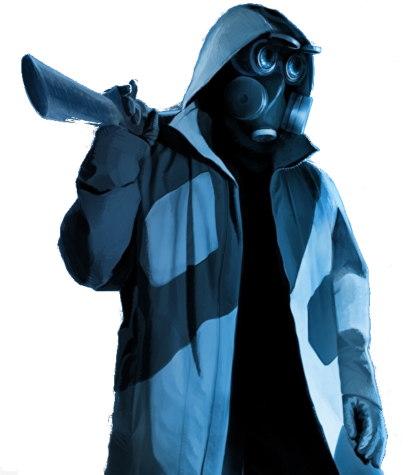 The man, or of what remains of the man, is always covered in clothing, as well as wearing a mask, due to being ashamed of his mutated appearance. The mask he wears is custom made so he can open or close the eyes with a cover, used to help block out sunlight of let him see easier in the dark. His hands are gloved, though if someone squeezed his hand, it would feel very boney. *Animals receive two Animal Powers at Character Creation rather than one or two Mutation(s), however if you wish to have an animal character with a mutation, I will ask you to take a negative to one of your stats (similar to how a Mutant starting with 2 Mutations does) as to even out the fact that your Animal Mutant has three abilities at the starting point. Last edited by Marshmallow; 12-26-2018 at 01:43 PM. Reason: Edit 1: Adding the /Animal Powers section. Edit 2: Correct some formatting Errors. Edit 3: Correcting some layout errors. Feel free to drop me a message if you have any questions about anything. Interested. Was considering an animal based character, who would be a Japanese Harlequin rabbit, and functions as something of a scout/sniper. Due to leaping and agility, he'd be able to get to hard to reach places quick for rapid support. Perhaps even mothwings (?) and/or invisibility for tactical options. My knowledge of the system is minimal, but I can look up info about places and such via wiki for now. I did have one question I'm having trouble answering: are the animal types mutated from animals, or people who became animals? I'll need to refresh my memory, but I believe the animal mutants are from animals. Regarding mutations and Animal Mutants, I'm not sure animal mutants themselves can be mutated in the same way as Human mutants, because of their genetics being from animals themselves, but I'll double-check for you, never occurred to me to check that. Last edited by Marshmallow; 12-06-2018 at 12:36 PM. Color me interested. My immediate thoughts went to a mutant of the Slave or Chronicler role with a talent for cooking up monster meat. More will be added when I get out of work. Last edited by PopCultureBard; 12-06-2018 at 02:21 PM. Happy to hear it, like I said before, if you have any questions/queries, feel free to message me. this seems SUPER cool! definitely interested, but as final season is quickly approaching, i'm going to have to take a bit of time to get everything together. if you close applications before i'm able to get an application up,no worries and have fun, all!! that said, i'll be trying my best to get something up!! I'm not sure yet on when I'll be closing applications, as I'm not sure when someone will take interest as it seems to be a pretty niche system right now. Also good luck with your finals! I sure as hell cocked mine up in school. Just did some further research, there's nothing saying Animal mutants can't mutate as Human ones can, but I don't see any rules for it either, so if you're still interested, I may have to ask you to take a negative to one of your stats, as you'd essentially have 2 more powers than the rest of the party if they are all human. I am, yeah. I might keep to the standard method of animal mutant however, just to follow the mainstream while learning, before delving into crazy abominations and combinations. Thinking further ahead, is there a method for character sheets you're considering using? Can the ones hosted on RPGC be adapted? Or would we look at creating our own with tables and such? It more than likely might come to us having to make use of tables, admittedly. I'm also going to check "Die, Meat Eaters Die!" for any further information on Rabbits, as that's a splat the delves deeper into the lore of the Rabbit Tribes and is the first rulebook I've seen to contain rules on Waterboarding. EDIT: There's not anything new for Rabbits in there asides from their Zone-Kingdom and their breeding rituals. Waterboarding and reproduction. Not the strangest splat I've ever read. Last edited by Marshmallow; 12-06-2018 at 11:24 PM. Do you mind if I have a shot at working out a template for characters? I can whip up some editable code to share in a post here/in the game thread. If you want to, you're more than welcome to, I'm pretty sure the Animal Mutants have a stat or two/renamed stats and have "feral points" instead of Mutation Points, but asides from that they're practically the same. Well just be aware your dog isn't invincible and can quite likely succumb to its mortality! Last edited by Marshmallow; 12-07-2018 at 07:12 AM. Reason: Adding qouted response.